Megan Hardiman is a partner in the firm's Health Care practice and co-head of the firm's Privacy, Data and Cybersecurity group. She regularly counsels clients on privacy practices, information security, and data breach planning and response. In particular, Megan devotes a significant portion of her practice to helping health care industry clients understand and meet the requirements of the Health Information Portability and Accountability Act of 1996, the Health Information Technology for Economic and Clinical Health Act, and state privacy and data breach laws. Megan closely follows related industry and regulatory agency developments and has advised on numerous complex information-sharing arrangements. Her deep knowledge of key privacy laws helps her clients mitigate risk in today's enhanced enforcement environment. In addition, Megan has significant experience advising health care clients on a wide range of regulatory and transactional matters. Her transactional experience includes sales, acquisitions and affiliations involving a wide variety of health care industry clients, such as hospitals and health systems, home infusion companies, senior housing providers, urgent care centers, physician practice management companies and medical colleges. She has also represented tax-exempt health systems in structuring complex joint operating agreements and affiliations with unrelated health systems and has obtained favorable rulings from the Internal Revenue Service on the consequences of these and other transactions among tax-exempt organizations. 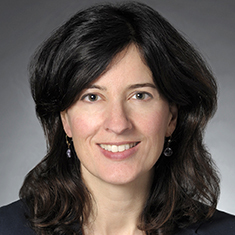 Megan frequently speaks and authors articles on privacy, data breach planning and response, and a range of other health care regulatory matters. Shown below is a selection of Megan’s engagements.